Guillain-Barré syndrome (GBS) is an acute life-threatening disease of the nervous system that leads to sensory disturbances and acute flaccid paralysis. A group of researchers has now shown for the first time that bacteria, which often cause pneumonia, can trigger the autoimmune disease GBS. Antibodies that not only attack the bacteria but also the outer layer of the body’s own nerve cells are a critical step in the pathogenesis of GBS after this respiratory infection. Guillain-Barré syndrome (GBS) is an acute life-threatening disease of the nervous system that leads to sensory disturbances and acute flaccid paralysis. A group of researchers involving the University of Zurich has now shown for the first time that bacteria, which often cause pneumonia, can trigger the autoimmune disease GBS. 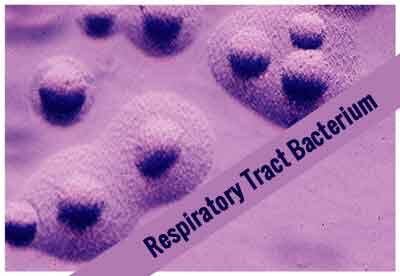 Antibodies that not only attack the bacteria but also the outer layer of the body’s own nerve cells are a critical step in the pathogenesis of GBS after this respiratory infection. The bacterium Mycoplasma pneumoniae has been under suspicion for quite a while. Now, researchers at the University of Zurich, the University Children’s Hospital Zurich, and the Erasmus University in Rotterdam have proved without a doubt that it is the culprit. In fact, mycoplasma is not only responsible for respiratory tract infections such as pneumonia in children and adults, it can also trigger Guillain-Barré syndrome (GBS) in infected individuals. The scientists have succeeded for the first time in culturing mycoplasma from a GBS patient in a laboratory setting. The reason for this is the similarity between structures on the surface of the bacteria and the body’s own nerve-sheath structures (molecular mimicry). This leads to an immune reaction, which attacks both the mycoplasma and the surrounding myelin sheath of nerve pathways. “Antibodies recognize a certain glycolipid structure present at the cell membrane of the bacteria. These antibodies cross-react with and bind to galactocerebroside (GalC), one of the most common components of human myelin,” explains Patrick Meyer Sauteur, the study’s first author. This fatty substance ensures electrical conductivity of the nerve fibers. If it is destroyed, the patient experiences GBS, characterized by paralysis in arms and legs, weakness, and sensory disturbances. Antibodies against GalC had already been described in patients with GBS. Such anti-GalC antibodies were also found in the aforementioned patient, and there was a correlation between their concentration in the blood and the progression of the illness. Immunological tests demonstrated that anti-GalC antibodies of the patient reacted most strongly with the cultured isolate, less strongly with other subtypes of mycoplasmas, but not with other bacteria. These results confirmed the cross-reactivity of the anti-GalC antibody. The researchers investigated a total of 189 adults and 24 children with GBS for the presence of antibodies to mycoplasma (as an indication of a recent bacterial infection) and GalC (as the suspected trigger for GBS), and compared them with 677 healthy individuals as controls. Three percent of the adults and 21 percent of the children were found to have had a recent mycoplasma infection — which was higher than in healthy control individuals. Anti-GalC antibodies were found in their blood with almost the same frequency: in three percent of the adults and 25 percent of the children. These anti-GalC antibodies also reacted to several mycoplasma strains.